Fits perfect and feels pleasant! 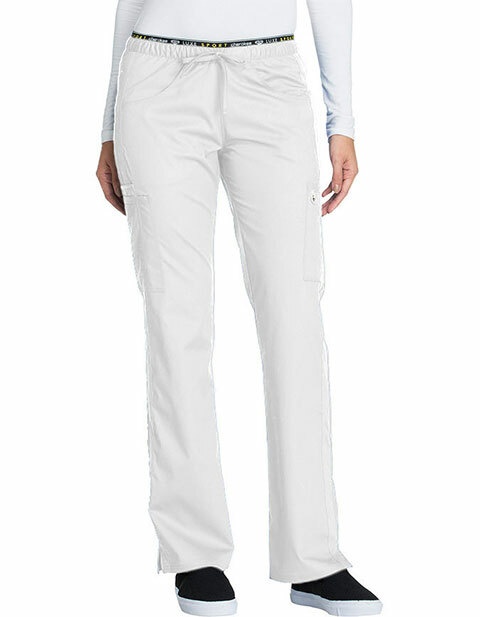 Luxe Sport by Cherokee brings women's mid-rise pants that give a contemporary and elegant look. Featuring a functional drawstring, side vents, back leg seams, stretch fabric and tonal knit mesh strapping on the side seams; these pants will keep you comfortable at work all day long.